Bust out your black nail polish. 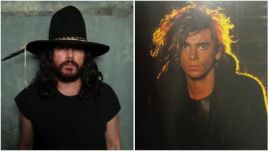 The Cult have announced the extensive itinerary for the recently announced Electric 13 World Tour and fans will be thrilled that they’ve confirmed there will be a stop off in Australia. Throughout September and October, the band will be in town, performing their groundbreaking 1987 release Electric in its entirety. Electric came from humble beginnings. Australian singer Aimee Nash married The Cult frontman, Ian Astbury, on the weekend in Las Vegas. 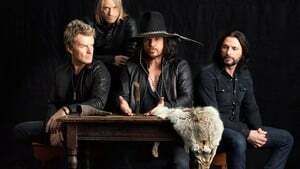 The Cult have announced the release of their first studio album in five years. Posting on their Facebook page today, The Black Ryder have announced that they will be supporting The Cult on their upcoming Australian tour. UPDATE: The Black Ryder have been announced as support act for The Cult’s Australian tour. 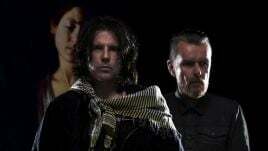 Chugg Entertainment and Sun Touring Company announced today that legendary rock act, The Cult, will be heading to Australia as part of their “Love” Live Tour, with confirmed dates in Sydney, Melbourne, Brisbane, Adelaide and Perth in May, 2010.